Come to Lake of the Ozarks State Park for boating, fishing, swimming, hiking and more. Next go to Ha Ha Tonka State Park and backpack the Turkey Pen Hollow Trail, take an interpretive class, fish off the docks and hike the Acorn Trail. Main Street Music Hall offers three great shows year round! Come see The Best of Main Street Opry, Reelin in the Years, or Christmas on Main Street during the holidays. Pirates Cove Adventure Golf offers award-winning miniature golf attraction. Watch as the infamous pirates come to life on your adventure. Caves, waterfalls, and extraordinary landscaping makes this miniature golf experience the best. Big Surf Waterpark offers rides like the Challenger Flumes, Space Bowl, Zambezi Falls, Lazy River and much more. Save by staying at Red Roof and have more to spend on your shopping spree at Osage Beach Premium Outlets. Make sure to check out all the shops, dining, museums, shows, outdoor activities and more in Osage Beach. Here’s a list of nearby restaurants that are all within 2 miles from Red Roof Inn Osage Beach: Subway. The Pancake House, Chicago Brother’s Pizza, Culver’s, Arby’s, City Grill and Blue Room, El Jamador, and Pizza Hut. Eat well, sleep well. BOOK HERE. 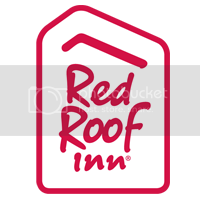 Get the most out of your travel experience by staying at the Newly renovated, affordable and pet friendly Red Roof Inn Osage Beach. Our hotel in close to all of the best attractions and offers an indoor pool & hot tub, weekly rates and free continental breakfast from 6am-9am and coffee & tea in the lobby. Business travelers will welcome access to copy and fax services. All guest rooms include free WiFi, hair dryer, iron & ironing board, in-room coffee and refrigerator. Our Inn is also conveniently located near the Lake of the Ozarks cruise embark points and the Ozark Caverns, Lake Regional Hospital, Columbia College Missouri Lake of Ozark and State Fair Community College. Book your stay. Great to see experience page. Gives good info related Ozark Lakes events! !